In the field of engineering only about 11% of engineers are women. Everything around us is created and designed, from your smartphone to your doorknob. We need engineers to keep everything efficient and moving forward. Likewise, it is important to create more diversity in engineering by teaching young girls that engineering can be one of their career options. Design Engine is a place that promotes creativity and learning and we have seen first-hand the importance of encouragement. 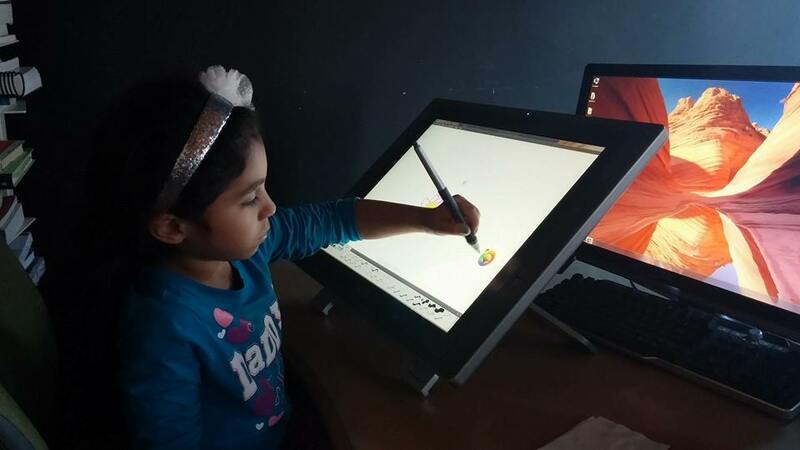 Our Operations Manager, Eddie Hoyos, brought his 6 year-old daughter Olivia into the office and she was very excited to try out one of our engineering tools, the Wacom tablet. Instead of making her feel intimidated by the technology, we motivated Olivia to let her creativity flow free and to create her own designs. There are many teachers that believe more kids, like Olivia, should be encouraged to learn engineering. STEM, a now-popular educational teaching idea, stands for Science, Technology, Engineering, and Math. While science, math, and even technology are very present in most traditional educational systems, engineering seems to be the one lacking, or worse, made out to be a boys-only field. The teachers behind STEM believe that children should learn as early as pre-school age about engineering. The idea is to have kids create things and at the same time solve problems and learn more about engineering terms and concepts. Children learn to go through the engineering and design process – they think critically and learn how they can create something and make improvements to develop the best possible outcome. Little boys are usually the ones interested in engineering, especially since they have the toys to make learning engineering fun. As opposed to little girls being conditioned to play with Barbie dolls. If we see girls playing with Legos, that becomes a problem. Why? Well those are “boy’s toys,” of course. Through STEM education, little boys and girls are both encouraged to learn more about the engineering process. This was taken one step further by Debbie Sterling, a Stanford engineering graduate, who created the Goldieblox toy. 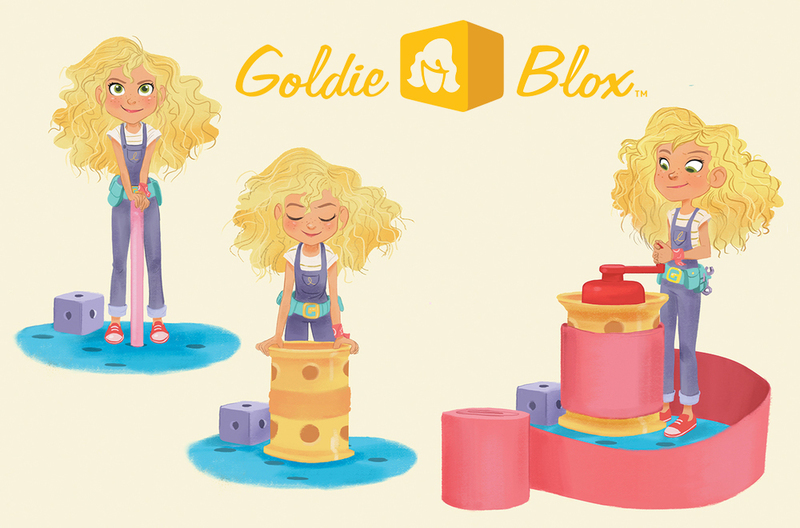 The Goldieblox toy is specifically made for little girls to play with by building what Goldie builds. Along with building, they get to read stories about why Goldie needs to invent and build to make her life easier. Thus, making engineering a fun and enjoyable activity for girls. Through this kind of inspiration, little girls can begin to see engineering as a field they can also be successful in. By finding creative and fun ways to teach them engineering from an early age, they learn the steps needed to create things and solve problems. That way, in the future, we no longer have to say that engineering is mostly a male field.